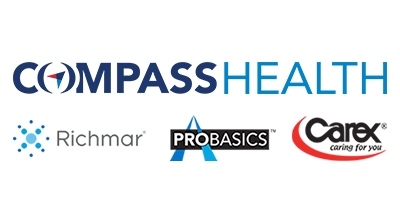 Committed to improving lives, Compass Health manufactures and distributes a broad range of innovative and high-quality homecare, rehabilitation, and pain management products designed to enable consumers to remain active, live independently, and enjoy life. Our family of brands includes Richmar®, Carex®, ProBasics®, Meridian Medical®, Roscoe Medical®, AccuRelief™, Apex®, Bed Buddy®, StrengthTape®, TheraMed®, and InTENSity®. Compass Health supports its customers and their users by “improving lives” every day.